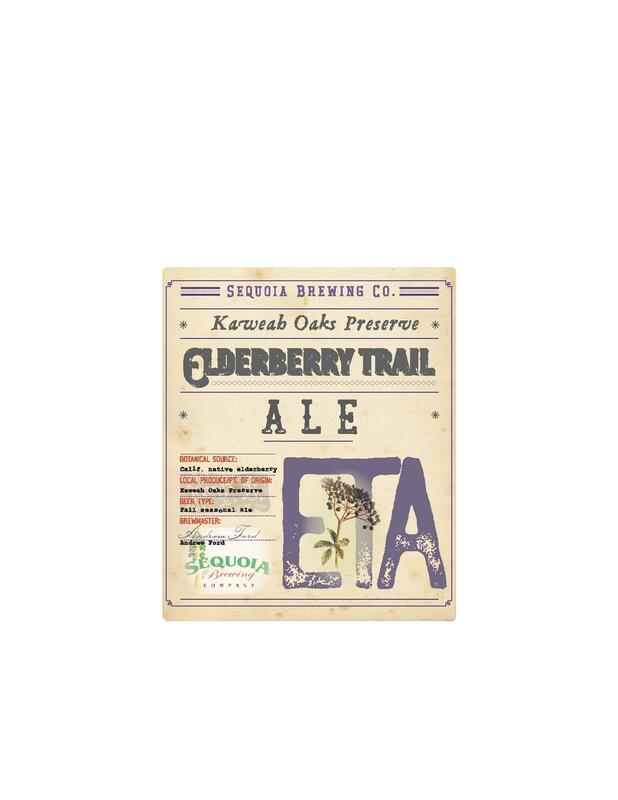 Sequoia Riverlands Trust and Sequoia Brewing Co. are proud to announce the upcoming release of a beer made by Sequoia Brewing with ingredients from our flagship preserve: Kaweah Oaks Preserve Elderberry Trail Ale. "ETA," as we call it for short, will be available starting October 12, as SequoiaFest in downtown Visalia. SRT proposed the idea of a seasonal beer to Sequoia Brewing Co. staff earlier this year, after winter's heavy rains brought us a bumper crop of elderberries at KOP. SRT and SBC staffers picked berries together in early July and took then to SBC brewmaster Andrew Ford at their Tower District site in Fresno, where the beer magic happens. Now we'll get to try out what is sure to be a yummy brew just in time for fall. After SequoiaFest, ETA will be available at all three of SBC's locations: Visalia, Tower, and the Woodward Park area of Fresno. Look for more information on special 22-oz. bottles coming later this year, too. SRT loves its partnership with SBC, and becoming part of the local food movement is a dream come true, too. We hope you enjoy an ETA (or two) while it's available, but you may need to act fast. As a seasonal beer, there's only so much to be had, and once it's gone, it won't return until next year.